Huawei didn't shoot for the moon with the Activa. In fact, I'm not even sure Huawei shot for any lofty goal — at least with respect to design and overall appeal of the Activa. 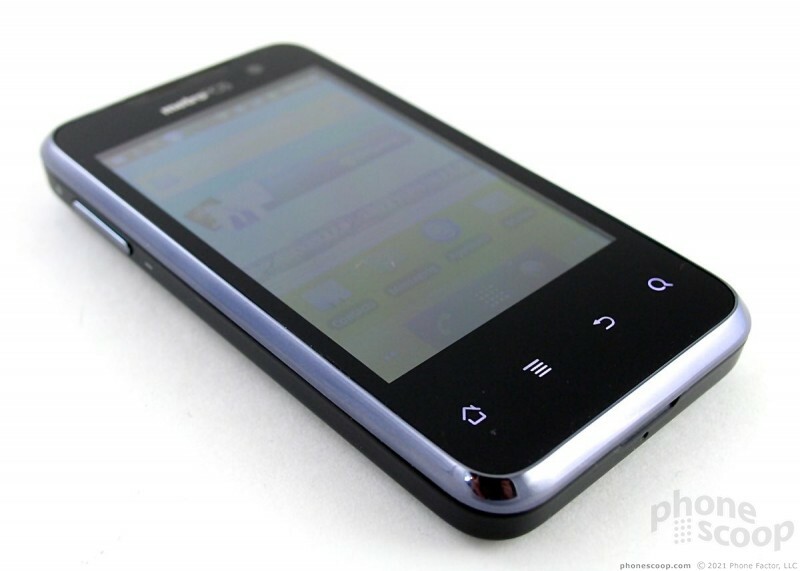 The Huawei Activa 4G is a chunky 'lil thing, and uses the tried-and-tired black-on-chrome design language that we've seen on scores of smartphones over the years. It's somewhat nondescript, and could easily be confused with any number of other devices. Though it may be bland in appearance, the Activa has a solid feel to it. The materials and manufacture feel good and don't come off as cheap. It's a dense phone and appears to be well put together. There's no creakiness to it and all the parts fit together snugly. Its flat edges give it a puck-ish feel, but it's still comfortable to hold and use with a single hand. The Activa won't give you any trouble when it comes time to stuff it in your pocket, but its thickness and weight will remind you with each step that it is there. A chrome frame rings the front surface of the Activa and breaks up what would otherwise be way too much black. 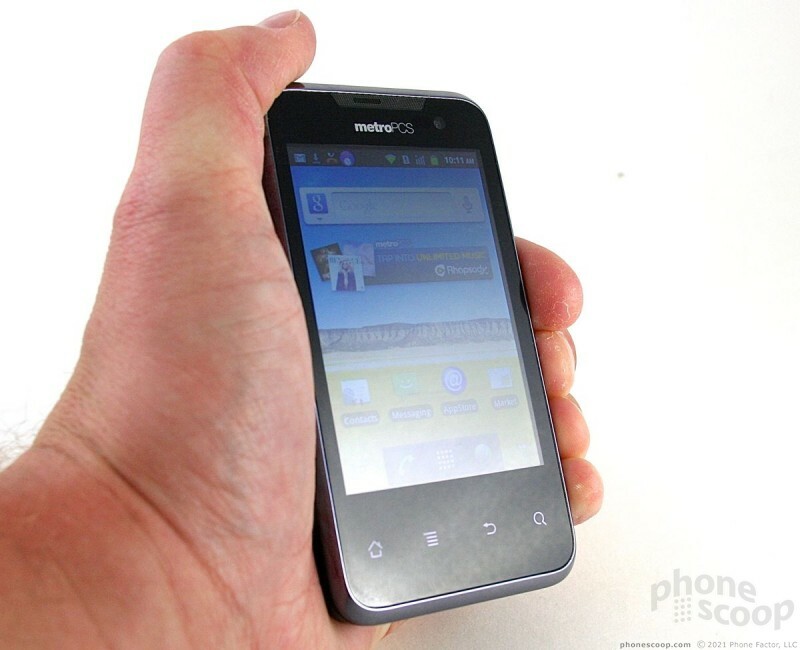 The user-facing camera is visible next to the MetroPCS logo above the 3.5-inch display. 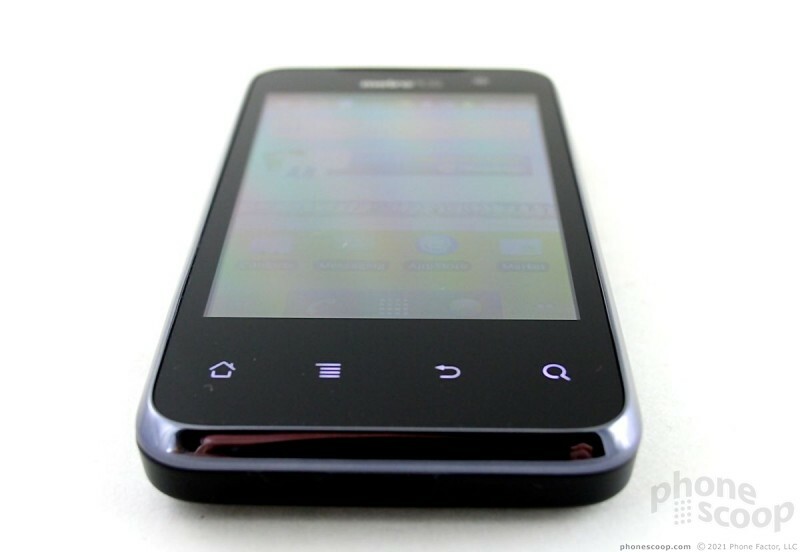 There are four capacitive keys below the display for controlling the Android 2.3.6 Gingerbread operating system. Each of these buttons worked perfectly, and offered a nice bit of haptic feedback when pressed. The amount of bezel surrounding the screen is a bit much. The small-ish display is practically swimming in an ocean of phone. The volume toggle is on the left side of the Activa, perched close to the top of the phone. There aren't any nubs indicating which end of the toggle you're touching. The toggle has a decent feel to it, but it's not perfect. The up volume side of the toggle has better travel and feedback than the down volume does. Believe it or not, Huawei sprang for a dedicated camera button on the Activa. It's the only control located on the right edge of the phone. It's even a two-stage button that allows for focusing and shooting. Bummer, though, that the action of the button is so miserable. Most of the time, it's impossible to tell the two stages apart. You can feel the subtle stages only with the most gentle of presses. 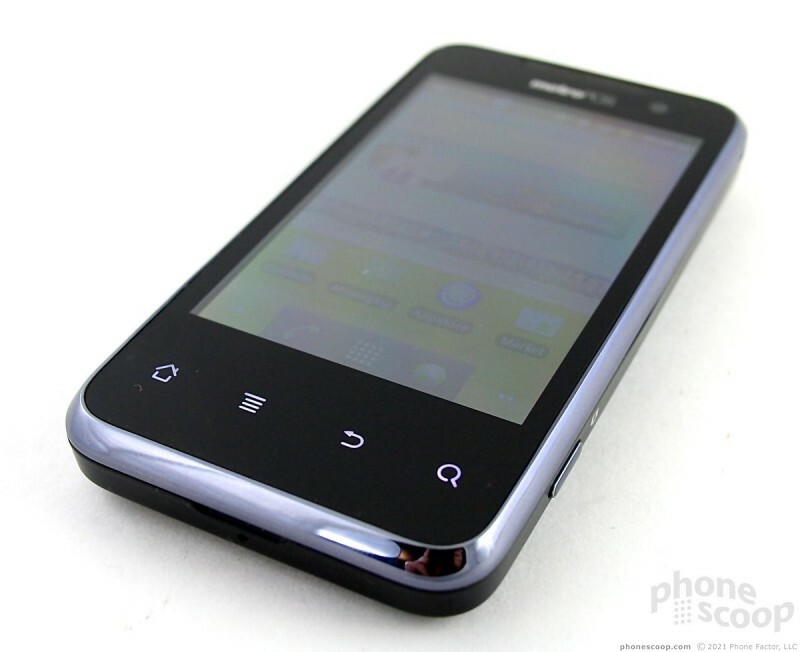 The top of the Activa is packed with the microUSB port, 3.5mm headset jack, and lock button. I prefer the USB port to be on the side or bottom of a phone. I find the top is awkward positioning when, for example, you need to make a phone call. The lock button is not very good. 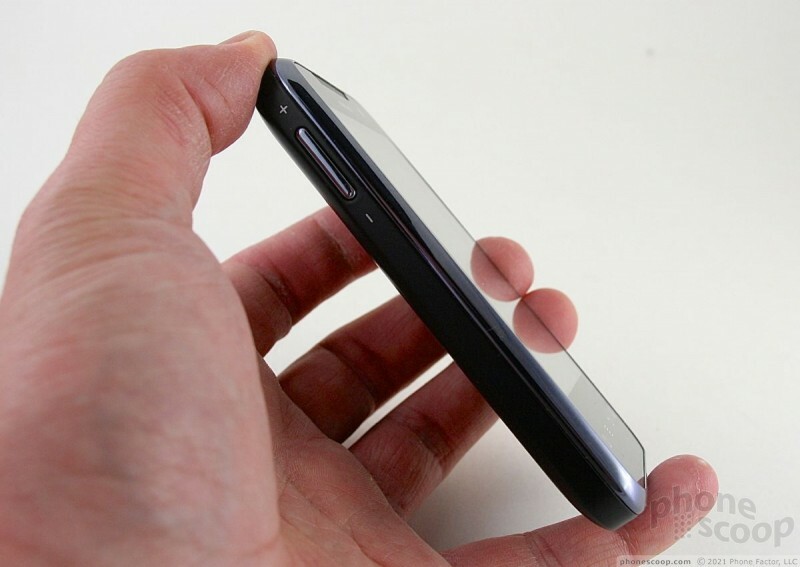 It's absolutely flush with the surface and needs to be pressed too far into the phone to be activated. Given the importance of the power/lock button, the Activa's is particularly bad. The battery cover has a carbon-fiber look to it, but it feels like regular old plastic to me. It takes two thumbs to remove without breaking it in half. Once removed, you can access both the microSD card and the SIM card. The microSD card can be removed without taking the battery out, the SIM card cannot. It's not going to win any international design awards, and there are a few problems with the buttons, but the pros of the hardware easily outweigh the minuses.